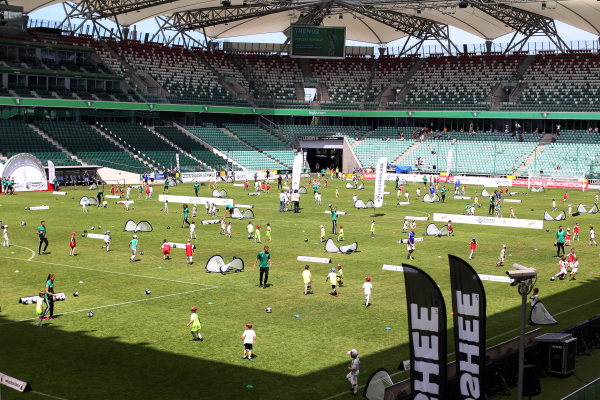 Around 23 thousand kids on the fields, 15 Ekstraklasa cities, 30 days, and the final on the field of the back-to-back champions - Legia Warsaw! We celebrate the 2nd annual project between the Ekstraklasa Foundation and the Ministry of Sport and Tourism. The first ever edition of "Academies" in 2016 was deemed a big success when it engaged around 16 thousand youths from all around Poland. On June 2017, that number grew by around 7 thousand. Training led by professional club coaches were some of the attractions kids were looking forward to. Participants had a chance to meet with their idols including players and coaches, and to learn the correct way of doing certain exercises and drills - including ones without the ball. The goal of "Academies" which brings together kids from ages 3 to 11, is the promotion of football, sports education and strengthening of local academies. The training sessions were held on all stadiums, with the final being in Warsaw, at Legia Warsaw's stadium. 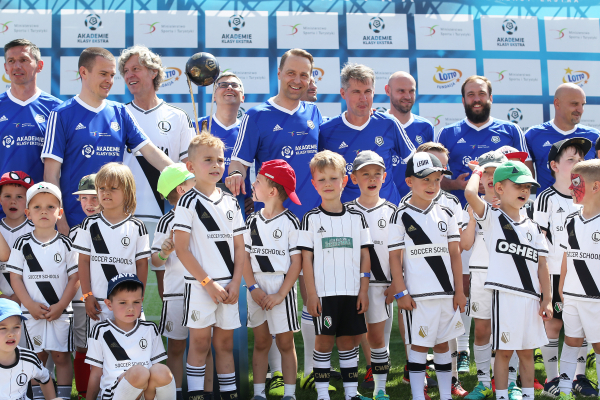 Taking part in the celebration were the Minister of Sport - Witold Bańka, President of Ekstraklasa S.A., Dariusz Marzec, and the President of Legia Warsaw - Dariusz Mioduski. Each child participating in the event received a diploma from all 3, and got a chance to play with them on the main field. Other "teammates" included former footballers such as Grzegorz Szamotulski, Mariusz Jop, and Dariusz Gęsior. - There's no sport, without sport amongst kids and adolescents, and Ekstraklasa Academies is an initiative, which promotes exactly that. Fair rivalry, promotion of sport activities and simply having fun thanks to sports - these are elements essential to a healthy development of young people, and it's what we count on at the Ministry of Sport and Tourism. Ekstraklasa fulfills that, that's why we help to organize and finance the project. I'm convinced that such events help build a healthy and active community, and even help others become professional athletes - said Witold Bańka, Minister of Sport and Tourism. Ekstraklasa Academies is a joint project between the Ekstraklasa Foundation and the Ministry of Sport and Tourism. As part of the collaboration, The ministry also assists in creating football infrastructure, such as practice fields, locker rooms, etc. - The collaboration with the Minister in the Ekstraklasa Academies initiative is crucial for us in terms of the future of football. Together we organize training sessions in Ekstraklasa cities, we look for talent, but we also build new fields and other facilities for kids. We're very happy that we can count on the help from the government in such an important matter of promoting physical activity amongst the youth. said Dariusz Marzec, President of Ekstraklasa S.A.
Ekstraklasa concludes domestic TV rights tender with contracts worth 0.5 billion PLN!